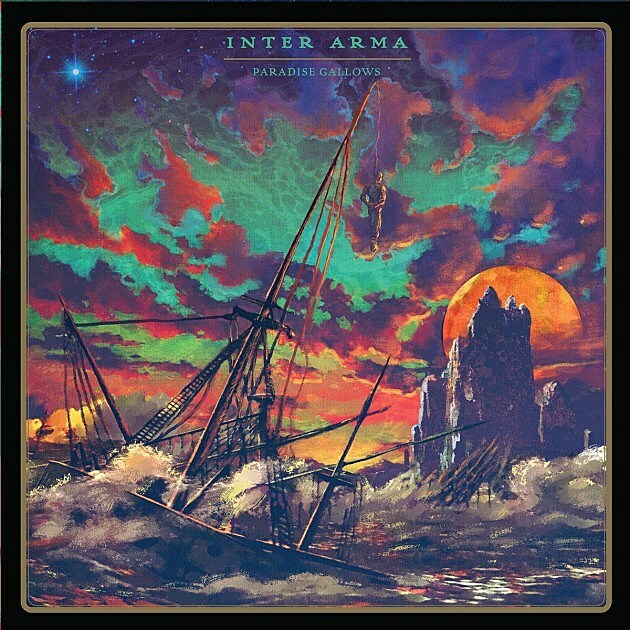 Experimental metal band Inter Arma will follow 2014’s one-song, 40+ minute EP The Cavern with a new full length, Paradise Gallows, on July 8 via Relapse. The first single is “Transfiguration,” a 9-minute song that moves from atmospheric sludge into a black metal assault into a Swans-like trudge into a melodic palm-muted chug, before fading out. Needless to say, there’s a hell of a lot going on, and this thing is a pretty promising first taste of the record. Check it out, with the album tracklist, below. The band also have several tour dates coming up, with shows this month and then again in July and August. The summer dates are with Withered opening, and they include NYC on July 8 at Saint Vitus. Tickets for that show go on sale Friday (4/8) at noon. All dates are listed below.